Making sure you have the correct footwear is essential. First of all, they have to fit comfortably to ensure you’re going to be able to wear them all day long. And secondly, they have to be fit for purpose. In the workplace, a proper risk assessment should first be carried out to help identify all of the potential risks so that you have footwear suitable for providing the correct protection. Where possible, footwear should reduce the risk of slips and trips, and should protect from the specific risks that are present, such as falling items, sharp objects, and electrical risks. Safety footwear should not be worn as a replacement for good housekeeping. Workers should also be made aware that their behaviour in the workplace influences slips, trips, and other accidents. When there is a spill, they should deal with it themselves rather than waiting for someone else, and take care when carrying objects, rushing around, or walking when distracted on their phone. 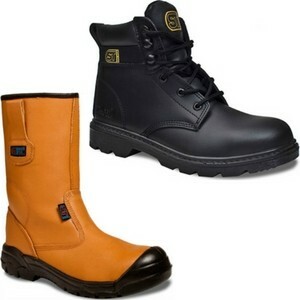 Safety footwear is there to protect people as much as practically possible when things go wrong. However, the best method for avoiding an accident or injury is prevention. In the workplace, slips, trips and falls are an ever-present hazard, with footwear playing a vital part in reducing accidents and injuries. So when you’re looking for footwear with soles which increase the grip levels, you need to ensure they meet the European Standard EN 13787, and meet the specific requirements of your environment. SRC – tested under both of the above categories. All safety footwear will conform to standard EN 20345. This means that as a minimum it will feature a toecap which provides at least 200 joules of energy impact which are identified with the code SB and have a steel or composite toecap. S1 has the same features, plus anti-static properties, being fully-enclosed, and an energy-absorbing heel unit. S2 goes one step further, and the footwear comprises of water resistant leather. S3 has the addition of midsole penetration protection. S4 and S5 have the same benefits as S1 and S3 respectively, but for all rubber and polymeric footwear. In shoes without S3 or S5 requirements, having a P denotes that it has the upward penetration protection with a compound or steel midsole. WRU lets you know that the safety footwear also has water penetration and water absorption resistance of the shoe uppers. 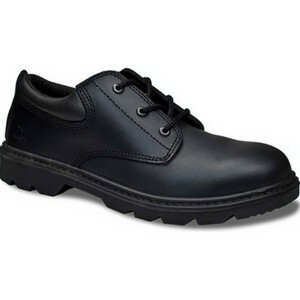 M has metatarsal impact protection and AN for ankle protection. Together, these little features can prevent the wearer from suffering an easily-avoided serious injury. When using the suffix HI, you know the shoe or boot insulates from heat at 150°C and prevents the internal temperature from increasing by more than 22°C. Similarly, CI insulates against the cold for up to 30 minutes at -20°C. And with HRO, the outsole is heat-resistant to contact heat of 300°C. The C means that the footwear has conductive properties which prevent a build-up of static, while A has anti-static properties and gives limited protection against electric shocks from the nominal mains voltage.